The Target Saver: Target: Mountain Dew Ice & Pepsi Zero Sugar, as Low as $0.90! 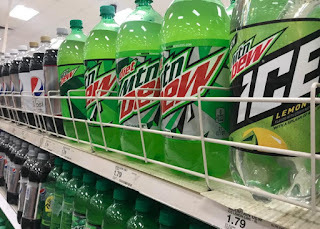 Target: Mountain Dew Ice & Pepsi Zero Sugar, as Low as $0.90! Grab your phone to score deep discounts on Pepsi Zero and Mtn Dew Ice sodas at Target. Add two new 50% off Cartwheel offers to the Target app on your smartphone. There is also a $1.00 Ibotta rebate offer for 12-packs of Mtn Dew, so you can get a 12-pack for as low as $1.50.